This lakeside hangout is known for its watery view and its chill, music-loving atmosphere. They host live music about once a month, but at any time you can bask in the nostalgic glow of the posters of local/touring bands who've played there. Sit yourself down at a solid wood table and order from a list of 10 tap brews and a bundle of domestic and specialty beers. Happy hour is 11am to 5pm, weekdays. Enjoy darts, food, and a danceable spot on the floor. Free Mich Golden, house beer, or rail drinks on your birthday. A casual stop for the 20s and 30s crowd. They serve high-end bar food including many different chicken sandwiches, burgers, fish, wings, wraps, and more. 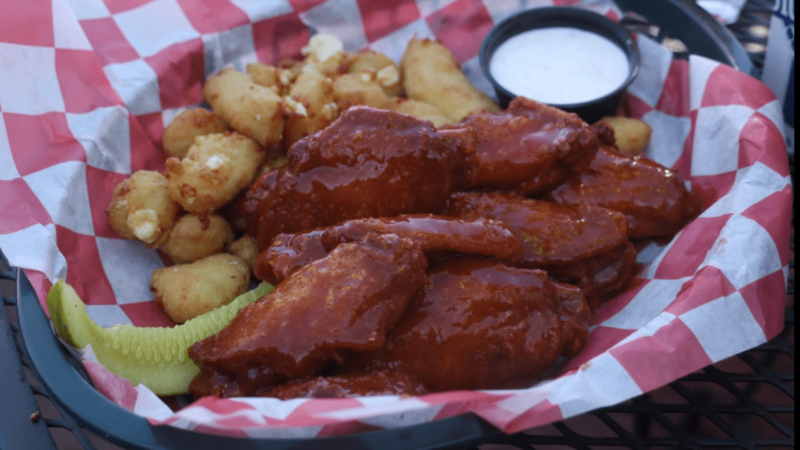 Known for a great Friday fish fry, they also feature live music some Thursday nights and occasional Saturdays. The outdoor deck look over Lake Menomin, providing a wide, sweeping vista with plenty of birds, boats, and breeze. Carry out available, vegetarian friendly. No reservations taken. Free meal and drink (some limitations) on your birthday.